CDO Bloggers Christmas Party 2015 was packed with fun games and prizes! New set of CDO Bloggers officers for 2016! Who can expect the boy who can’t be found, Boy Zugba, is actually kind enough to host the CDO Bloggers’ Christmas Party last 2015? Not sure if he disguised himself as one of the waiters but his presence can truly be felt in all the dishes served on the table. Ga aZU aZU jd ang kalami. First set of dish served, Barbecue, pork liempo and cheesy chorizo in bilao. The cheesy chorizo was my bet. And the highlight, this bagetz meal. I rarely eat barbecue value meals nowadays due to fast food’s traumatizing fact that they grill ahead of time or cook on a stove not entirely giving you a memorable grilled barbeque experience. However, Boy Zugba’s was a whole opposite story. The grilled chicken was so soft, it almost melted in my mouth. Plus the sauce with all the onions and tomatoes, I couldn’t ask for more. This whole experience is only for P99. (add P10 for unli rice and another P10 for iced tea), what are you waiting for? 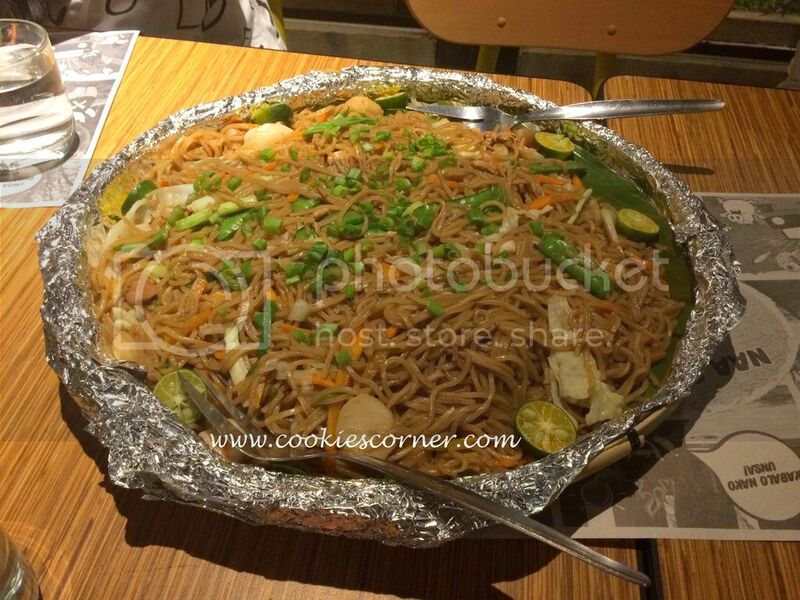 Pansit Guisado, of course, should never be forgotten in a Filipino celebration. Saving the best for last, their leche fan uniquely contained in a cute bottle for P35. Cheers to that! Fast forward today! Boy Zugba is now turning 1 this coming Monday, February 8, 2016 for a chicken all-you-can treat for P295. Magkita kita ta!